Chandeliers are the most thought out kinds of lighting equipment. The theme may be approached in more than one way: chandeliers as sculptures, as ludic items, as quotations. Antonia Astori and Nicola De Ponti have now developed for Oluce a completely new approach: in their own hands, chandeliers become a “system”. A transparent and regularly pierced methacrylate tray (called “Plateau”) holds casually-placed opaline glass globes. Its many electric wires – usually not considered from a planning perspective – climb up to the top, creating an aerial sculpture and thus becoming part of the design of the entire object. With “Plateau”, the globe, which has always been an iconic symbol of the design of light, finds a new life and an unprecedented aesthetic look. 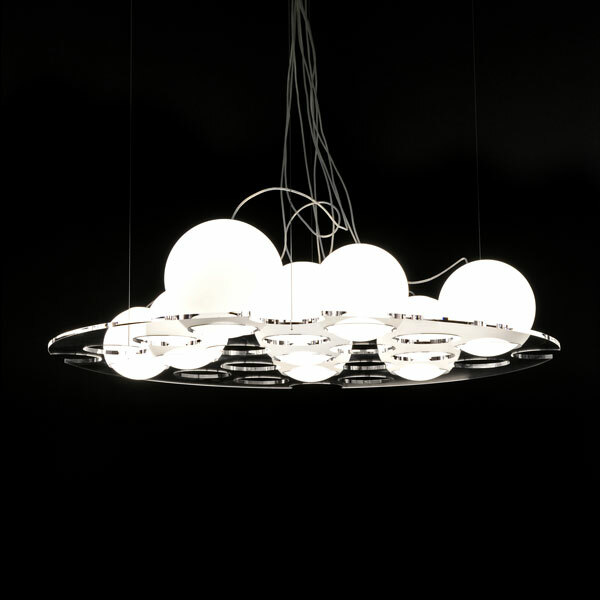 Suspension lamp giving diffused light. Support plateau in transparent laser-finished and polished PMMA. 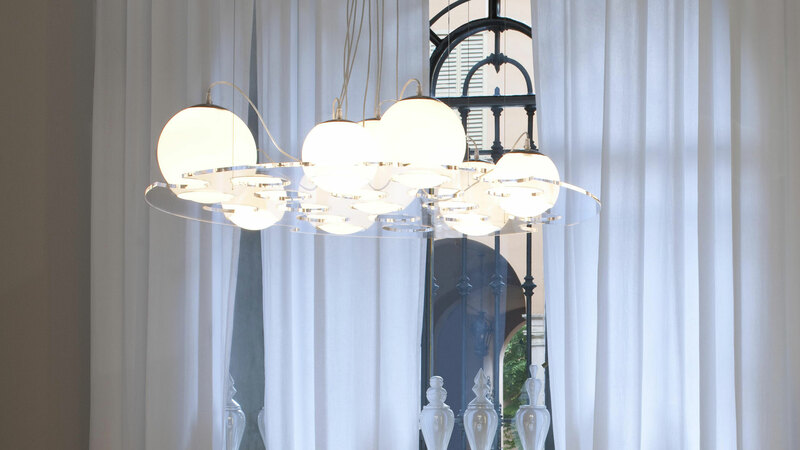 Globes in opaline opaque blown glass in different sizes, that can be placed as wished.